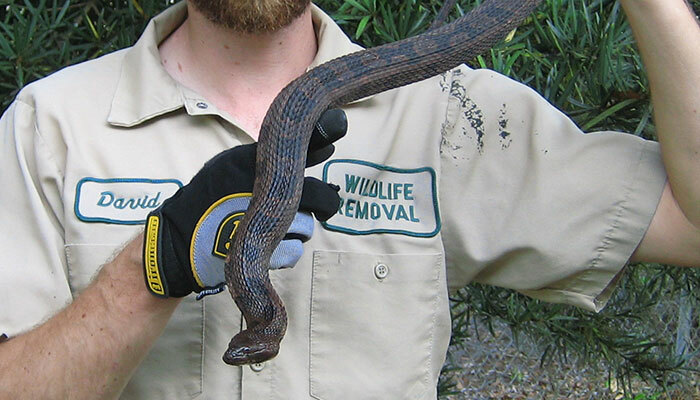 We profide professional snake removal services in Phoenix, Arizona. We do not kill the snakes or harm the snakes. We simple remove them with humane tools (snake tongs and a snake sack) and transport them far away from your property. We are available for emergency snake removoval in the house, swimming pool, yard, or any other part of your home or property. How to get Arizona snakes out from under a shed or porch - The snakes like to live in the shady and safe places. They like to live in the sun so that they can warm their blood and they also like to live under the shades. They can live under the deck, shed or porch or under other buildings. Most of the time, they are not harmful but they can make some people to fear. The snakes found under the building, they can be nuisance if they are large or poisonous. When you find out that you have a poisonous Phoenix snake, you may wish to take care of it as soon as possible. The poisonous snake can attack when they are threatened while the large snake may swallow the small pets in whole. The snake can build the nests and they can hibernate under your house. As we all know this fact that wild animals can’t be kept as pets, even then many of us have them at our home deliberately or sometimes, unfortunately! This is the reason why, we all need a service to help us in getting rid of these wild animals if we are failed to do so by our own. It is always recommended to call a professional to help you in dealing with the snake especially if they are poisonous or large. If you are not able to hire one, you may try to trap the animal on your own. The snake traps can be effective but only for a short period since the snake may learn that they should not enter into these traps. You have to make sure that the trap does not have your scent before you place it and use latex gloves to install it. When you catch the snake, relocate it over 15 miles away from the home and use the heavy gloves to handle it out since it can bite. You have to know the reason why the Phoenix snake entered into your property in the first place. You have to know the features that attract the snake to your home. Your property may have the debris that may attract the snake. The snake wants to live in the safe place where they can hide or hunt or to crawl inside. The vegetation is one of the attractor of the Arizona snake. To avoid the snake, you should trim or eliminate the heavy vegetation. Eliminate the areas where the snake may wish to crawl inside like sidewalk plywood, shed or rocks. You should use a fine mesh fence and seal all the entrance. We do not provide free snake removal services in Phoenix Arizona. There is no such organization that does so.